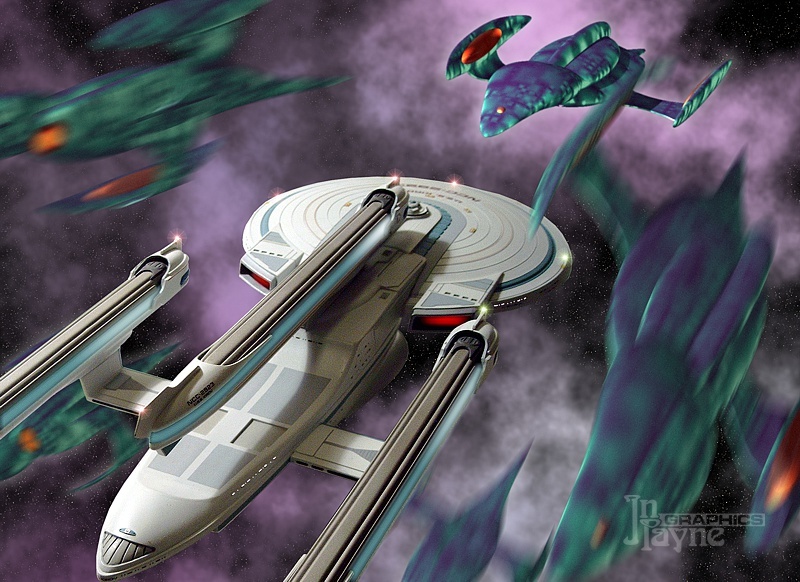 The Kirov class dreadnaughts followed closely on the heels of the Dominion class ships once the improvements to the uprated Excelsior class cruisers proved successful. 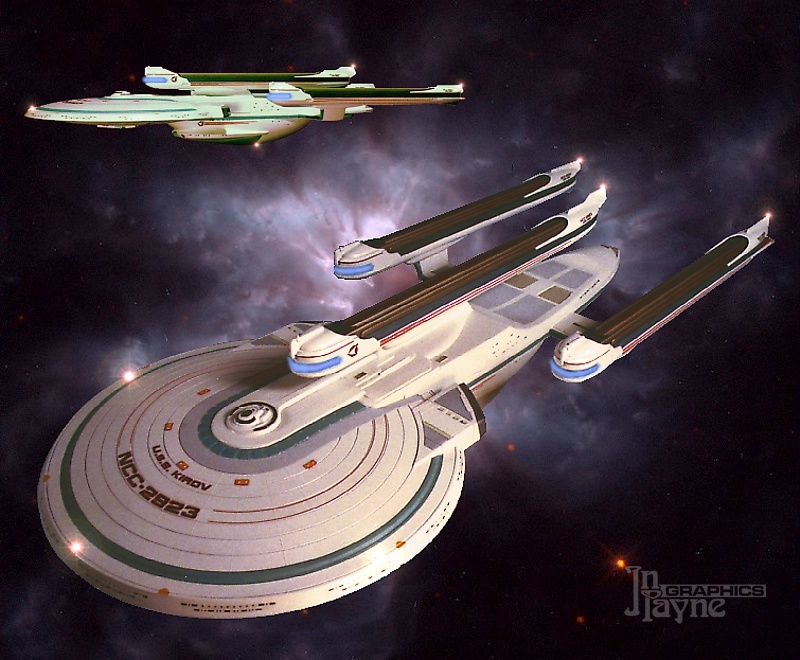 Many improvements were made in warp dynamics over the Dominion class' less streamlined profile. 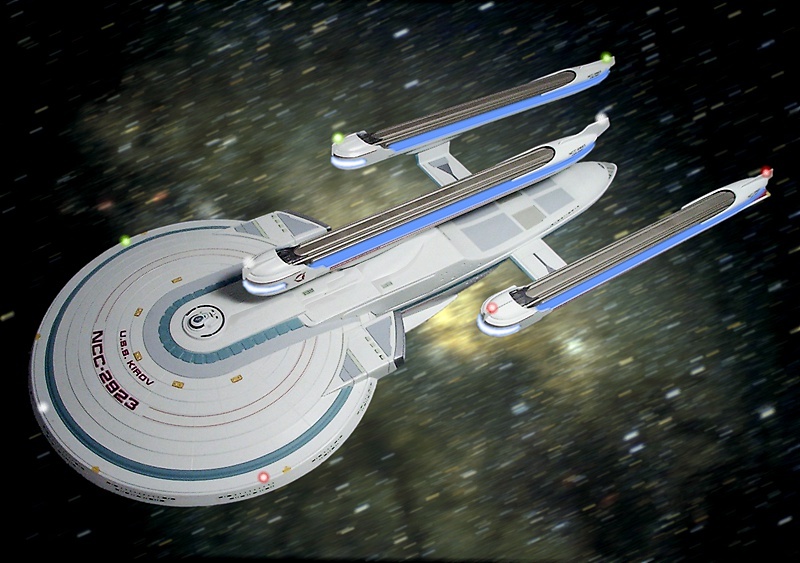 Notable to the design was the omission of the dorsal interconnect to keep the third nacelle closer to the vessel's centerline and the compensatory built-up superstructure aft of the saucer; and the widening of the main nacelle's span to better clear the larger impulse engines. KIROV (foreground) and Roosevelt (background) on maneuvers. Being a vessel optimised for heavy combat, a dreadnought is generally not the first choice for a first contact encounter. However, in the depths of space such situations are occasionally thrust upon a crew. 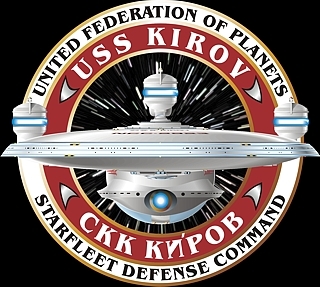 And in the case of the Kirov's unexpected meeting with the warrior Skreel, being one of Starfleet's most powerful fighting ships came in handy. Standing his ground while unknown aliens buzzed his ship, Captain Terren impressed the Skreel into freindly - if cautious - relations. 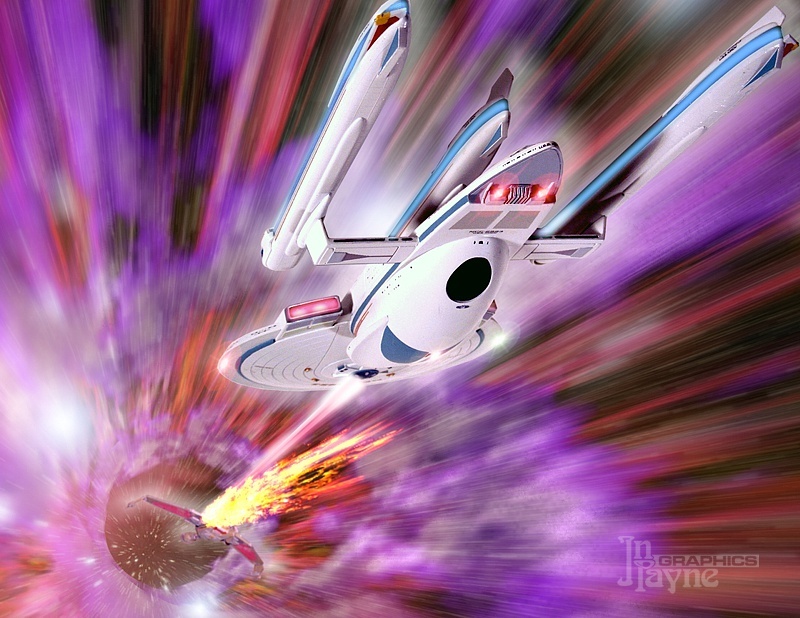 Kirov scores a phaser hit on a klingon raider just as they both drop out of warp after a long stern chase through subspace.